The installer is a credit to your company a professional and courteous craftsman. Very happy with the whole project. Matt did a brilliant job and was a great guy!! This is the fourth set of doors you have fitted for me. I am absolutely delighted with all four sets of doors. Just like three years ago when I had the first three doors fitted. From the moment the phone was answered by John Miller everything was so professional, efficient and polite. The key for me on this particular occasion was the fact that John always knows his product line inside out. It was such an easy and pleasant experience discussing and jointly validating the possible and available options to achieve this. He is a real ambassador for your company. The second part was also no surprise.The same two installation technicians, Scott and Lee, appeared bang on time to fit these doors. They are both a pleasure to have in the house and both extremely professional. Very quick and very personable. Very nice professional job. I was impressed with the attitude of Matty who came. Mathew arrived right on time and set to work straight away. He tackled the garage window first and did a very good job. He then moved to the doors and again did a very good job. I am very satisfied with the standard of the work and the product. Customer service was brilliant from start to finish. From the agent in the call centre to the surveyor and fitter. Really Happy with the product. Thank you. Andy brilliant installer, polite and efficient. The product looks good. I liked how easy it was to use the website, also the help over the phone. When the guy came out to measure up he was so friendly, he said he would fit them on the first and would be there at 8, not only was he on time he worked very hard. I made him a tea and he even worked through them, I am well pleased with the fitter and would recommend to anyone. Quick installation and very professional. Very easy to arrange, very tidy, really polite. Really really happy with the work. Thank you so much. Excellent service. Helpful when originally phoned. Punctual when quoting and fitting. Doors look great. Fitter excellent and all good value. Superb experience. Very professional installation. Lots of pride taken with the work done. Already booked for patio doors to be installed. I required a company to fit a cat flap in a French Door. Value doors were the only company that seemed to be able to do both and I called 5-6 other companies both local and UK based. I was first helped by John and really happy with his professionalism and it inspired confidence that I was dealing with a proper company. I’d had experiences with pushy commercial window salesmen and wasn’t looking forward to the experience, to be honest. I was happy with the attention to detail John gave and the price. Simon came to measure up and completed the job a lot quicker than I thought. He was friendly and professional and knew exactly what I wanted to do. I’d happily recommend him to family and friends. He was on time, incredibly tidy and just pleasant to have around to do the job. Unfortunately I don’t think I’ll need another door soon, but I’ve recommended your company to a few people so hopefully, they will be in touch soon. Many thanks, Vickie. I found the whole experience excellent. The installer was very friendly and considerate. I am moving soon and need a replacement front door, I shall definitely be requesting you to do that. Brilliant to find a company where you could find your product online and get an instant quote with no haggling or worrying about whether you have paid the best price. Quality of doors is great and entire process from start to finish was fantastic. Dan and Lawrence were a joy to deal with and very professional throughout. Wish more companies could work with the level of honesty, integrity and professionalism. The initial enquiry was dealt with in a courteous and helpful manner. I had the same treatment throughout the measurement, ordering, fitting and payment process. Would recommend to others. Very happy. First class job from start to finish, huge thank you to Paul Sloan. Good price, the installation looks great. We have used Value Doors on two previous occasions an will do be doing so again. Colin Carmichael was a very helpful advisor and very friendly on the phone, plus efficient in his correspondence. Darren who installed the doors was also very friendly and conscientious, doing an excellent job. Rob is a great person very efficient and tidy, I would highly recommend your service. I really couldn't fault any part of the process, contact was good from the first call. Simon Brook arrived to view and quote as arranged. The doors were quoted the next day as promised. We agreed on an installation date and this was met and the best part of all of this was that no pressure or sales tricks were used, unlike the vast majority "in fact all" other double glazed / window door fitting companies. We will never go elsewhere and have already recommended. Thank you for making this an easy experience. I am very pleased with my installation. The installers are a credit to Value doors. a return customer and would use Value doors again in the future. Thanks. Thank you to Richard for the installation. I’m thrilled with the doors and the workmanship. The fitters were polite and friendly. Simon fitted the doors he was a credit to your company. Very efficient and polite. I am pleased with the service Value Doors provided. The work was carried out on time and would recommend your company to friends and colleagues. The fitters turned up perfectly on time and were friendly and efficient, couldn’t fault them. Very good customer service. I took some time to decide and each enquiry was answered very well by Rob. Very competitive price. Job very well done by the team. Value Doors provided an excellent service. It was so much easier getting a quote over the phone ahead of a survey, as this gave an accurate estimate of the cost without visiting salesmen trying to rip you off (as with many other companies). The local installation team were polite and professional, arrived on time and clean up well after the job. The overall cost was very competitive and the product appears to be good quality and in line with the online description. Quick service, turned up on time and even took into consideration school run times, excellent service, thank you. The fitters were on time and worked extremely hard. Everything completed. Thank you. Happy with the service, the quality and competitive price. Very happy with our new doors. Eugene was very polite & worked really hard as it wasn’t the easiest doors to fit. Very happy with the service from start to finish. Would definitely use again if needed and would have no hesitation in recommending to others. Our fitters were efficient, professional, polite and tidy. Very impressed with their performance. We would recommend them. Wonderful doors, great value and very friendly staff, thank you! Thank you to your staff. They were reliable and efficient and did a wonderful job. Very pleased with Simon Brook, he arrived on time got straight on with the job of changing our old French doors, quickly and efficiently. My husband and I are delighted with new doors they look great, thank you. We would not hesitate to recommend your company for the future. Thank you. Absolutely great! Many thanks to Value Doors and the installer for fitting our doors, makes such a difference. Fitters arrived on time were absolutely brilliant no mess. The job was completed very quickly. I would recommend them to anyone. So pleased with my new doors. Installers were friendly, professional and left the place tidy. Very efficient, this is the second time I have used this company. I would definitely recommend. Now looking to use for the third time! Thanks Kevin Healy! We had a composite door fitted a few months before, the installation guy was very polite, knowledgeable and professional. Most of all you know beforehand what you need to pay, there are no hidden or extra costs. You choose online what you what, excellent method. 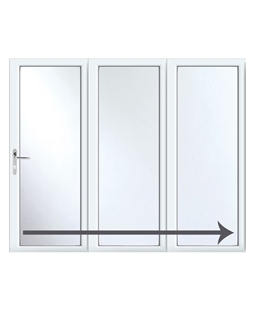 Your doors are also extremely good quality and the service is excellent. I have recommended Value doors to several friends and neighbours. Good product and good price. Fitted promptly and left clean and tidy. Good job. Was happy when we used you a few years ago so thought we'd try you again. Installer was polite, arrived when promised, left everything clean and tidy and did a great job. Overall very satisfied. I am highly delighted with the work from start to finish. This is a project I have wanted to do for a long time and these gentlemen have made my dream come true. I found the original phone call to be very helpful and when I got stuck one call and they made everything clear. 5/5 my installer was extremely professional and very polite and friendly. He put both husband and myself at ease almost immediately. A very special quality. 5/5. Would recommend to my family and friends. Great company. Very happy with the installation, happy with the price, friendly installer. Ordering online was easy and when your representative came to measure he was very professional. This gave me the confidence to continue with my order. The time taken from ordering to installation was only 4 weeks which was great. Although the doors were larger than normal and took longer to fit they were installed proficiently and look great. Very good service. good fitter attention to small details. The installer did a brilliant job, nicely finished with excellent attention to detail. We had the French Doors fitted today and they are very nice we also had a back door fitted which is also very nice. Eugene was our fitter he was a very nice guy who worked very hard and done a lovely job, he was very courteous and a very tidy worker. We would have no hesitation in recommending him. We are very pleased with the doors, Matt who fitted them was very caring and made an excellent job of fitting them. He arrived on the stated day, worked all day without a break very efficient. Would certainly recommend him and would want him back if we ever need any replacement windows/doors. Majic was truly magic, great guy, did an excellent job, clean and tidy, superb. Excellent, superb, no damage to existing fixtures or fittings. Well pleased with the job and finished product. We are extremely happy with our new French doors and were impressed with the price and the efficient, polite service. Would definitely recommend Value Doors to others. Excellent service from start to finish - and a great standard of product. I am very happy with my new front and back door and new windows. Excellent service from quote through to fitting. Installer Chris was very friendly and was impressed by all the clean up afterwards. Also liked the fact there was no hard sell but just great customer service. Clean, first class installer. Could not fault his work! Fair price and lots of choices. Brilliant. Good value. Good service. What more can you ask? The whole exercise was faultless. Being able to select your doors and accessories without pressure selling was essential to us and you didn't disappoint. Simon came, gave some excellent advise on our choices, arrived on time on both days and did a fantastic job on the installation. There was no mess and the professional finish was a credit to your company. We are very pleased with both doors, cant thank Simon enough and would definitely recommend you to others. Faultless service, highly professional fitter. I used this company as they had provided my front door when other local companies had failed to do so ... and I was really pleased with the workmanship by fitter Paul. This time I was originally interested in having bi- folds fitted but decided to have a home visit in order to get professional advice - I then realised that the French door option might be a better solution and these were fitted by Paul Sloan who also made the home visit. I am very satisfied with the doors and the fitting. Every part of the process was handled professionally and fitted on time. The fitter Eugene arrived on time and was excellent from start to finish, very pleased with the doors and workmanship. Delighted with my new French doors and the quality of work. I will have no hesitation in using Value Doors again. Installation of new French doors was fitted to a good standard and the fitters Gavin and Neil were first class and we are very pleased with the product. Very pleased with the speed and installation, we would definitely use again and recommend to others. We had an excellent experience with Value Doors and Kash and Arj who fitted our French doors for us. Unlike other companies, they didn't arrive quoting an over inflated price and claiming that there was a one day only sale happening as a pressure tactic to buy. The whole process of measuring up for what we needed was around half an hour and the fitters listened to what we wanted rather than attempting to upsell a more expensive product. It was brilliant that the same guys who had measured up also fitted our doors and they couldn't have worked harder on the day. They kept us updated with what they were doing, minimised any mess that was created and were very pleasant to deal with. We're really happy with our French doors and will be in contact again soon for a front door too. Thanks, Kash and Arj - you did a great job! Your fitter Simon was friendly and experienced, and I am so happy that I will be calling him back in the next couple of days to confirm him fitting my front door. GREAT JOB! Very pleased. Work carried out quickly and efficiently. No mess . Polite workforce! I can honestly say the whole thing was just easy. Kevin, our fitter, arranged to come round for a measure up within a couple of days. We were expecting the doors to be ages however within a week or so the doors were made and ready to be fitted. Kevin and his colleague (sorry, didn't get his name) came round on Good Friday, which was very convenient for us as we both work during the week normally. The work was completed within a few hours and looks fantastic with no mess after. It was as if they had not even been there Both Kevin and his colleague were friendly and polite and did a fantastic job. Both my wife and I are very happy! Very good service & very competitive quote & installer did a very good neat job & am pleased with the quality of the French Doors I had fitted. We are very please with the doors to the front of the house. Would like the windows done in future. Dan and Neil arrived on time, assessed the task in hand. Work superbly as a team discussing with each other as to how to best progress different aspects of the job. Kept me informed as they moved on. Their attention to detail was excellent and the finished task was equally as good. I would certainly recommend both the product and the team to anyone! Very efficient, courteous and professional. Excellent. Cannot thank Eugene enough for the service and work he has carried out. Top class. We have already arranged to have him carry out further work. Would recommend him to anyone. Thank you. Paul (the fitter) arrived on time, he proceeded to work quickly and efficiently with removal of the old doors and fitting the replacement. The interior work is perfect and does not need decorating (even though that is planned), outside the removal dislodged a little render which Paul repaired perfectly. Paul then took time to explain opening, locking and adjusting the doors along with advice on how to keep the mechanisms lubricated and how to secure the doors when in the open position. This is the second occasion Paul has fitted a door for myself and I am more than happy with his work, the quality of the products and the overall value of the doors including fitting. At some time in the future I plan to have another door replaced and I will not hesitate to call Value Doors. We had great service from Value Doors, and have since recommended them to our friends who have used them. Thank you Mr Mark Lee. Kash and his colleague Arg were very good, they arrived at 9.30 as planned online and did not finish till 5.10pm, We were very pleased with their service and would recommend them again. Patio and back door installed by Magic, his service and workmanship was professional and of a high standard. The service provided by the company from start to finish was seamless and straightforward with no hidden costs. I wish I had used this company earlier this would have saved me being ripped off by other companies. We have used Value doors before for windows and French doors, Scott and Lee were both friendly and very efficient, the workmanship and attention to detail is 2nd to none! recommended Value Doors to friends and family. Friendly and helpful, confirmed booking and called the day before the installation to confirm the time of arrival. Even though weather was foul, they smiled and worked through it. Overall was a good experience, would recommend. I would have no hesitation in recommending both the product and Dale and Steve who did the fitting. All appointments were kept and attended on time. Simon was our fitter. Very friendly, efficient with his time very clean and tidy. Gave full explanation of how to clean products and register the keys. Arrived when he said he would. Worked around other work going on it wasn't an issue for him. Great man. Would highly recommend the company and Simon. The doors are better than I imagined. Alan was absolutely fantastic, worked extremely hard until quite late to get the job done with the upmost quality. I will definitely use him again when I need the rest of my windows replaced. Had a really good experience with Value Doors. Simon who came out to fit them was incredibly friendly and professional. He has done an amazing job on all three of the doors that we had fitted. Excellent doors and extremely good installer called Magic. It was a pleasure to have Simon install our French and Stable doors. He arrived exactly as arranged on both days, his working routine was clean and he took the time required to get the job done properly, we are very happy with both of our installations and would recommend Simon and Value Doors to anyone, very, very happy. Only just had the product fitted. Liked having the installer visit to do quote. It didn't take long to measure up and order. Queries were dealt with on the spot and good advice given. Delivery and fitting were prompt and so far problem free. Fitters were well mannered and jovial. Overall, doors are very nice, competent installer. Paul does a super job and seems to take a real pride in his work. I consider myself very fussy but could not fault any of his work. That is why I ordered the French doors after having him fit my back door. Great installation, polite, friendly, efficient. Wonderful job could not fault them. I would recommend to anyone. No mess whatsoever, no redecoration needed even hoovered and removed old window and door. We have been very impressed with the professional service from all the people that we had dealt with. Leigh was the surveyor/fitter. I'm very pleased with the end result. Had front door fitted a few years ago from Value Doors. Simon our fitter was very friendly and polite. Very pleased with the doors, the fitter was polite and took care of my property. Excellent service. Good service, polite & efficient installer. I would use again. Great Service and Delighted with the outcome. Lovely guys. Hard-working and their work was to a very high standard. Very good value for a quality product. Bernard the fitter arrived on time and was extremely courteous and friendly. The quality of the installation is great. We are very pleased with our installation. From initial enquiry to finish, it was a professional friendly service that I am well satisfied with. After contacting a number of companies Value Doors proved to be the right choice. I had been left frustrated by comments and procedures after contacting suppliers via the internet. Value Doors installation was carried out professionally by very polite workers and the product is what it says on the tin! I am extremely happy with the door and the installers. They were clean, tidy, polite and quick. Fab! I don't have any further work at the moment but will be in touch again if I need anything else. Very good, professional job done. Well done Paul. A good job well done and the weather was nice too!!!! Excellent service. The fitter Paul was brilliant. Kash and his partner were on time when they did their survey and installation. 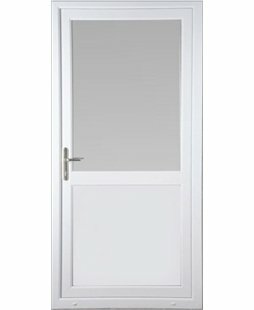 We are pleased with the quality of both doors and fitment. This is the 3rd time Scott has done some work for us and as always he has done a very good job. Scott was very friendly and helpful well done! Third time used in a year, very happy with the service highly recommended - made a huge difference to our house. Thank you! Matt the fitter and the plasterer both arrived on time, very polite and did a great job. Very pleased with the results. Absolutely fantastic company and staff! Products are great and everything just seemed so easy from the first call through to payment. Would highly recommend and would consider yourselves if we need any future work. Chris did a fabulous job and the internal frame work really sets it off beautifully. The installer was excellent, polite, friendly and professional my new window/doors look fantastic! A very good service from start to finish. The people that delivered the doors were very friendly and went out of their way to get the doors to us. The fitter, Bernard, was extremely polite and a perfectionist. Have another patio door to replace in a couple of months’ time, when we have the money, and will definitely use your company again. Simon the Fitter arrived early on installation day. Nice friendly, polite chap. A very tidy, professional installation. Great attention to detail. Have booked to have another door changed. Thankyou. The work was carried out very professionally and methodically. I am very happy with product and service. Installer Simon is a nice guy, very careful worker. The doors look very nice and your web site is very good. Wish I knew about this company sooner. Beautiful French doors, father and son team explained exactly what and when they were doing. No mess at all. Really happy. Thank you. We were very happy with the whole process from the initial enquiry to the installation. The sales team were very efficient and the installer was very professional and did a lovely job. Thank you very much for very competent and quick support and fitting. Big thank you to Rodney for his professional and polite service. The fitter's turned up at 8am as advised. The work was fast and clean, the product seems very good. Overall very pleased with the new installation, I would have no hesitation in using the service again and happy to recommend to others. Top job! Thank you. Thanks for an excellent product at a bargain price. We would definitely recommend this company to anyone looking to upgrade their doors. Fantastic customer service by the two men who installed the doors. Arrived on time worked, straight through and very professional. All rubbish was removed and the areas swept and left perfect. Would definitely recommend them to family and friends. Great experience dealing with you and Darren, the installer. Will use again in the future. Top company overall which is difficult to say about most now. Having had very bad experiences in the past with builders that were highly recommended- it was a pleasure dealing with you. Well done and pat yourselves on the back. You know how important customer service is. Well pleased with the doors. The fitter was superb, very good at his job, tidy and very friendly! A credit to his company. Kash and Arj arrived on time to fit our French doors. They were polite, friendly, hardworking and willing to offer advice where needed. The job was completed to a high standard and we have asked them to quote for a new back door. We would recommend them to friends and family. A really attractive door and a huge improvement over the patio doors into the conservatory, they replaced. Ray and Richard, the installers, did a thoroughly professional job and made absolutely sure everything was spot on, and their customers happy with all the work carried out, before leaving. Awesome service yet again - this is the 3rd time we have used Value Doors and we got excellent service and workmanship as always. Thank you boys. After having a front door fitted before Christmas we ordered French Doors and also recommended Value Doors to our daughter who is having 2 doors fitted next week. Every step of the process was handled very professionally. The website is clear and honest, very nice to see a price within a few clicks for once rather than having to listen to a salesman drone on before giving an inflated figure! And Yes, the price I was quoted online was exactly the same as the amount I gladly paid on installation. I could not be happier with the end result, the work is first class with the whole thing finished off to perfection. Thank You Valuedoors. Great people, great product, professional installation, perfect customer service. I will be buying from you again in the future. First class product and first class service given by Rob Millar. Nothing was too much trouble, on time, left clean and tidy, would recommend to all. Once again, an outstanding installation by Dan. An absolute gentleman with an eye for perfection. Great professional service. Greg arrived on time and set to work quickly. His attention to detail is second to none and left us with a first class job. Would certainly use again. Steve, the installer was very polite and competent, will definitely contact you gain when we have the other doors replaced. Nice pleasant workforce, quickly installed no fuss. Once again excellent service. Did a very good professional job. Cannot fault any of the work, very pleased customer. Very pleased with the service, Rob Millar was very friendly and very professional and I would defiantly recommend this company to others. I was really impressed with the quality of the doors and even more so with the standard and finish of the completed job. I would not hesitate to recommend the company to anyone wanting this type of work done. Glenn, our installer, was very helpful, courteous and efficient. He made an excellent job of the install and it really does look professional. Great service, thorough job. Friendly installer, cleaned everything up after the fitting and explained everything about the doors. The service was excellent. Dan who installed the doors was brilliant, great experience. 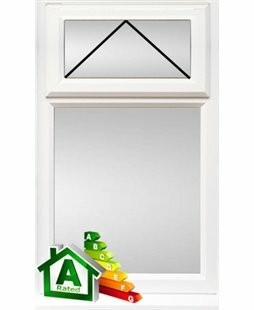 I am extremely pleased with the service provided to me by Value Doors from start to finish. Neil attended my property on the day that we had arranged. As soon as he came into the property I could tell he knew what he was doing, he measured up the doors, gave me the quote, which was the same as on the website and was able to answer all of my questions. Neil gave me an installation date of 3 weeks which was great. On the night before the appointment he text me to confirm he would be attending. The work that Neil has done is amazing. The doors look great and my partner (who was home for the installation) commented that Neil did a very thorough job and was a nice guy. I came home to find the doors were fitted, no mess, perfect!! very pleased that we decided to check out Value Doors and will most definitely recommend Neil to Family and Friends. My next project will be getting the front door replaced and I will definitely be contacting Neil to do that without a doubt!! I have been delighted with your overall service and quality of materials used. Robin has been once again a pleasure to have onsite, so professional and clean and tidy. Second time around and when we replace the front door we will be calling you in again. Just had doors French doors fitted and was very pleased with the finish. No damage to walls and very tidy and clean. I would recommend to friends and family. Greg has done previous work for us, when he installed a stable type door for us at the rear of our property. He did such a good job, that when we found that we needed to replace our wooden French doors, it was a no brainer for us to contact him to give us a quote. The quote was so good that we had him arrange for a replacement set of doors to be ordered. He has been today and installed the French doors to his and our full satisfaction, and we have no problem in any way in recommending him to do any installation, that you may need . The installers Ray & Nicky were very pleasant and explained exactly what they were going to do. The work area was left clean and tidy. Overall a good experience, I would recommend. Very good experience overall. Delivered and installed on time. Neil was very meticulous. This was a good day, the product was good, a nice sturdy unit while the price was low, no compromises had been made on looks or quality. The installation went smoothly with no problems even given the difficult site and a very hot day. I am more than happy with the work done and would recommend you to everyone. Today's fitters were particularly good, pleasant and knew their stuff. Thank you very much. The previous install was made with the wrong glass, however this was promptly replaced as promised. The install of the patio door was completed to our satisfaction, and we are totally pleased with the finished product. Excellent quality doors fitted on time by Neil a very pleasant and competent installer. Will be happy to recommend your company to friends and family. I have already emailed Leigh directly expressing my thanks to such superb work being carried out. The work was competed to a high standard and at a fraction of the cost to your competitors. I will be using your services again and highly recommend you to anyone that has any work needing carried out. I am very pleased with my new French door. The installer Martin Hindle did an excellent job, very friendly and left no mess. Efficient friendly service and an extremely professional job. Martin Hindle was fantastic throughout. He was polite, offered choice and worked with my husband and I to achieve what we wanted. We would definitely recommend him, and value doors. Once again Richard and Nicky provided excellent service. Very pleased with my new French doors. A very professional job installed by Dan and Neil. A pleasure to meet them. I would definitely recommend Value Doors and would use your company for any work needed in the future. Dan has done a very good job. It took him long time to take out the old door as the way the old door was fitted was very awkward. At the end it took him longer than expected to finish the installation. He didn't rush and still did the job properly. We are very pleased about it. We will definitely recommend to friends. We are also happy with the quality of the door and the service of the company. They delivered the door within promised time range. It is definitely good value door for money! Neil was first class and we are very pleased with the product. Very impressed with the service and quality of work of the installer Rob Millar. Arrived on time and carried out the work efficiently and with due care. Very pleased. very easy form start to finish. surveyor and installer was professional and friendly and did a fantastic job. love the French doors really has made a big difference to our kitchen. just wish I’d known about you earlier and i would of had my windows done which were done by another provider. Hi all at value doors,we are very pleased with our patio doors everything about the product is first class.From the first phone call to installation it has been a very good experience from your company and your installer Dan Armitage,from first survey to the doors being installed Dan explained every step of the process,Dan was very professional, very polite and tidy,what a credit Dan is for your company. We would not hesitate to use your company again,we would recommend anyone thinking of replacement doors to give your company a call.Once again thank you all at Value Doors. Dan Armitage arrived as arranged and removed the old doors and installed the new ones with a minimum of fuss. He cleared up immaculately and I am delighted with the result. Mr.Armitage was most pleasant and courteous. I wish you did windows!!!! we liked the sensible quote from the fitter without spending several hours at our property. our door looks great and we really wish you did windows as you would already have another job from us!! Great job, installer was pleasant and described everything clearly. Agreed to measure another door which I will be ordering shortly. Great service, quick and tidy install, very happy and at a great price too. Steve Donoghue was friendly, helpful and efficient when quoting and fitted our door quickly, quietly and to a very high standard. Have passed on his details to a neighbour looking for a similar fitting. This is the 3rd time we have used value doors and are very pleased with the quality of product and workmanship. Polite, friendly and not pushy like some other companies I could mention. Gave advice without being patronising. Turned up on time, was neat and tidy. Doors are lovely and such an improvement. Great value for money, was concerned I would get lower quality for the price I was paying compared to other quotes I had received, but I am happy to say that this concerns were unfounded. Would recommend your company's products and Robin who fitted the doors. Very happy customer. A really great job. Neil arrived on time and quietly and efficiently carried out the work. The doors look great. Overall very impressed. And excellent value for money, by far the cheapest and very good quality. The person who fit my door was excellent. When he came to take a measure he listen what I need and gave idea which was better than my idea. He promised to fit my door on Good Friday, and he did it. My house has pebbledashing, we were thinking maybe it will be damage and might we have to fix it. But door been fitted perfect! No damage on pebbledashing, no mess...He cleared up working area, frames, glass until perfect condition. Overall, I am very pleased with service and my door. My house looks stunning now! Thanks a lot! The whole procedure from original enquiry on line to the installation was friendly and professionally carried out. I was impressed with the fixed price and the non pressured selling, no 50% discount offer if you sign up immediately sales pitch, a welcome difference from the other suppliers we had quotes from. Even when the installer had a problem due to the construction of my property he overcame it and still came up smiling. I would certainly recommend you to friends and family. Many thanks and I wish your company great success. All good. As a landlord I need to be able to instruct and then let the installer communicate and work with my tenants, Rob Millar did this admirably. The experience we received from your company, added to the incredibly competitive price we were offered, would certainly make my choice for future work, to be with you. Thank you. I am absolutely delighted with my installation. We converted a large garage which was not quite symmetrical. used all his skills to install neat and solid French doors and side lights. They look wonderful. I can't praise Glenn enough, I would highly recommend him to everyone. Very good. Glen was polite informative and did an excellent job. Great french doors and the fitter did a great job also really nice guy. door and service better than expected for the price paid. Obviously still early days as fitted today but Matt is an excellent person all way round. Returned to Value Doors because of a previous job carried out by Matt. Very satisfied customer. I was really impressed with the work Neil done. The new door is looking really nice and i am really pleased with the work. Plus Neil was easy going and friendly. I was really pleased with the installation and Martin was very pleasant and worked really hard, and cleaned up afterwards. A great job by everyone involved, from the friendly Karl in sales / customer service to efficient and helpful Martin, who measured and fit the door for us. I'm really excited about our new French doors. Thank you! Installer matt was there when he said he would be was polite and friendly, did an exceptionally good job of fitting my french doors. Martin Hindle contacted me within an hour of my email enquiry. We arranged a time for him to visit to carry out the survey. I had requested a very quick installation and Value Doors didn't let me down. From the initial enquiry to installation it was just 12 days. Martin pulled out all the stops to make sure the installation could be done at a time that suited me. He and his colleague were polite, worked non-stop to complete the job, and tidied up beautifully. I cannot recommend Value Doors enough. Excellent experience from start to finish. Well done! 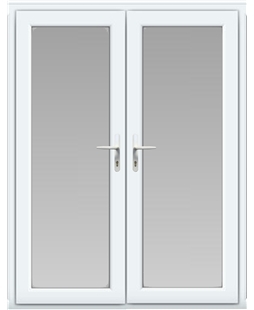 I am extremely happy with my french doors and window and wouldnt hesitate to recommend Value Doors. The fitter Robin was very thorough and did an excellent job. Absolutely value of money.especially thanks to Mr. Glenn. Clear pricing of products; installed on time; friendly fitters who did a good job and product itself is very satisfactory. This is second time I have had a Value Door. The quality, look and feel of the doors have totally blown me away and exceeded my expectations. Great Value I was quoted double or treble even elsewhere for the same quality. Very pleased with the product and Paul who came to fit it. Kept us informed throughout and guided us through the use of our new door. Thoroughly good value would recommend this product and Paul to fit it! We are pleased with the work and thinking of getting more work done in the near future. Very pleased with the results. Scott and his partner were very punctual, professional and friendly. They did a great job and cleaned up really well afterwards. Could not recommend enough. I was amazed that the fitters turned up to fit the doors as it was snowing heavily. The fitters did an amazing job considering the weather and how cold it was. I would not hesitate to recommend the company and the fitters. I would like to say a huge thank you to both the fitters and the company for a sterling service and product. I am so happy with the product and the fitting. Once again thank you so much. My French doors were fitted and I am over the moon with the standard of them and the work the installer did. He was very professional, very pleasant and sociable plus there was minimal mess as he cleaned up after himself. I would certainly recommend your company to friends and family. I was very pleased with the service I received, the installers were prompt, polite and efficient. i have now ordered new French doors. Thank you so much. Matt, who installed my door, did a fantastic job when faced with several difficulties during the fitting! I'm so pleased with the look and finish. The service from start to finish has been superb. The price of the product and service wasn't even close to being matched, highly recommended and I would use them again. Matt Wilson is a very professional and nice installer. Everything was great from the phone call for the price, measuring up and installation. I would have no hesitation in using you again and would recommend you. Really happy with the doors they look great and keep the warm in and cold out. Will recommend installer to a friend any time. His professional work is at a high standard. Very pleased with the work and product. The whole experience was easy, a good price combined with everything happening when we were told it would. The final spec of the doors was exactly as we had ordered and the fitting service was second to none with a particular focus on attention to detail and making a really nice tidy job of the installation. I wouldn't hesitate to recommend this company to anybody - we got fare more in terms of quality and service than I had expected for the money we spent. We will definitely be using your company for any door requirements we have in the future. Great price, installer was a lovely bloke. Door so far seems to be fitted perfectly, much better than previous door. Quality doors at a reasonable price. I was very pleased indeed with every aspect of your service and product. Thank you. Richard did a fantastic job from start to finish. No disruption, no mess. Also called him 2 days before the installation to see if we could change the colour of the door handles, and he managed it at such short notice. I may want windows to be fitted next year and will be looking to speak with you guys again! Many thanks. Good price, efficient service, available when I was. A really fantastic job was done. Very, very pleased with the installation which looks fantastic. Great attention to detail to make sure that the end result was just what we wanted. Couldn't fault anything about the work done and the amount of effort which involved staying late to make sure that the locking mechanisms worked properly after what appeared to be a manufacturing error in the product itself. I would be more than happy to recommend Value Doors and our installer in particular to others. Great job! Paul was totally professional and extremely helpful. Stuart installed my French Doors. The guy is a superstar. Extremely polite and friendly and professional. The only reason we went with Value Doors was because of his simple, pleasant, no nonsense approach. Bernard arrived bang on time. He did a great job and nothing was too much trouble for him. Highly recommended, great customer service skills and a valued employee of Value Doors. Very happy with the installation. Worked very professional. Fantastic product. Andy was very good. He checked the weather forecast and chose a dry time. He arrived on time and very professional, he just got on with the job. Very pleased with the work carried out. The doors look good. Steve is excellent. Very professional, courteous, friendly and does an excellent job. Would highly recommend him. Mark is a very pleasant guy who does an excellent job. When we have new doors fitted we will be using Value Doors and will want Mark to fit them. Extremely pleased. I have never seen someone work so hard but it looked like he had never been there, just some lovely doors to look through. The reason I chose your company is the very quick response I received. I am extremely pleased I did. Chris did a very thorough and professional job, I was very pleased with this and the quality of the door. Very pleased with the doors, they did a great job! Great, turned up on time and did what they said they would. I have had a great experience with Value Doors and I love the look of my new French Doors. They have added a complete new feel to my newly decorated dining room. Thank you very much and we will use you again in future. The installer, Paul, was very nice and personable gentleman. He did a great job and we are very pleased with the results. We would definitely use Value Doors again when the need arises. Tom is a very accomplished and knowledgeable installer. The person who installed my doors was very efficient and skilful. He was also very friendly and approachable. That encourages me to recommend your company to friends and continue to use your service in future. Most door companies, local and national, would not even provide a quote because I am on the third floor. Ray was very professional and friendly. He provided a clear quote with full information and I only had to wait a few weeks for the work. On the day he completed the job to a high standard and made sure I was happy with the locks etc. The cost was about half what I was expecting based on other firms. Brilliant product and excellent fitting. Very impressed with the quality of the doors and the service for the price we paid. Much cheaper than the larger companies that advertise and much easier to order. We appreciated being able to see a set price and arrange a door fitter to come round and measure up without having the usual pushy sales pitch of other door and window companies. We would definitely use Value Doors again and recommend them to friends and family. Good quality doors, carefully and well fitted. Competitive costs which includes VAT and fitting I.E. no hidden charges. Delivered and fitted on agreed date and time. We originally wanted a Rockdoor but they do not make the size we required. We opted for the uPVC and are very pleased with the result. Everything went to plan. Materials delivered and ready for when the fitter arrived. The operative was very polite and arrived on time. Very professional, he explained the guarantee and how to register. Very pleased with the whole experience. Impressed with the lack of sales pressure and the time taken at the initial stage to explain the product, the options and how it would be installed. It looks great and really does enhance the property. Helpful, knowledgeable and most professional throughout. A major plus is that they require no upfront payments - this is made on completion of the installation to your satisfaction. A minor problem with the transfer of the alarm system sensor from the original sliding doors was dealt with quickly. Overall we are delighted with the doors and would recommend Value Doors without any hesitation. Thomas was great! When he came to provide the quotation, he explained everything to us, took the measurements that he required, and provided us with a fair quotation within a few minutes. Thomas arrived promptly to do the work on the days we had arranged. He was very hard working, and managed to complete everything in the 2 days. His work is very neat, and he was great at clearing up all the mess that was created by the removal of the old window. He was very presentable and a pleasure to work with. We chose a set of French Doors we liked in our price range and arranged for a measure up. The fitter they sent to measure up was excellent, he measured our space where the doors would go and went through various options (smaller doors, building work etc). He left us with all the details needed and no pressure to go ahead with the work ( like most do ie " you need to decide today to get this offer " B/s !plus I rang them on the strength of the reviews on their website). We decided they were the best company so far (4 previous quotes) and booked the installation. The installation was great, we had an old window to take out and brick underneath, as soon as the builder had finished the door fitter started, they almost did it in one day inside and outside (plastering ,rendering). The fitter came back the following morning to finish some minor tweaks and clear the waste. The fitter they sent to measured up was the same chap who installed the new doors hence the job went smooth . Very impressed with Value Doors from start to finish . Paul and his assistant worked solidly for some eight hours, fixing, sealing, polishing and adjusting the doors, the result being a very clean and smart construction. I am very pleased with the result. They did a good job at my Mum's. Work was done exactly when promised, at price agreed beforehand with no inconvenience. Happy to recommend and would use again when I have any other requirements. We were very pleased with the product and the young man who fitted it. When he was finished, everything was immaculate. Very satisfied with overall service. It was a pleasure to watch a man who took pride in his product and his work. He was very professional. We are more than happy with the service and value for money. Greg our fitter was very professional from the start til the end of the job. We have already recommended him to our neighbour. A job well done. Thank you. Matt was a lovely fella to deal with, turned up when he said, was honest and did a superb job on day of fitting. What more could you want? Cheers Matt. Prompt, professional and reasonably priced. We are so happy with Ray and his partner. They arrived on time, were very efficient, clean and did a wonderful job installing our new door. Top quality service, will definitely recommend. Starting the process of choosing a company to replace my set of old wooden French doors was very daunting. It was clear that the big companies weren't always recommended with high costs / bad service etc but they have the guarantees. The local companies varied hugely not only on price but service as well. What drew me to Value Doors was getting a local service with a national company backing and guarantee and the reviews were good. I also liked the promise of no hidden extras. I liked the fact that the person measuring would do the fitting and that my communication was with him directly. I have not been disappointed. Scott was extremely pleasant to deal with, he and his colleague got on with the job without fuss and with efficiency. I will need more windows replaced in the future and will without hesitation use Value Doors again. I will also recommend Value Doors to any who ask. Thank you for making the process clean and simple. Martin, installer; did what it said on the tin. Was courteous and efficient throughout and answered any questions with enthusiasm. Would definitely recommend and will use again in the future. Only adverse comment is that you undersell yourselves with your title 'Value Doors'. Rodney was a total professional from start to finish - a very nice guy who has done a perfect job! The fitting date was around three weeks after we were initially told due to delays in the factory etc. Otherwise, we were very pleased with the standard of the work and Matt provided a high level of service. Best value and most responsive. Martin did a superb job, I'm really pleased. More than satisfied with my doors. Excellent installation and everything was dealt with very professionally. Ray, who was the guy that installed my doors was very polite and thorough from start to finish. The installers were great, polite and friendly. They left no mess and I was very pleased with the service. Matthew, who dealt with our installation, was excellent. The installer is the same as we had last time we used Value Doors. He was again very accommodating and professional and is a credit to the company. Ray and his son were very polite and friendly. Even when the fitting of the French Door was going to take longer to fit than they thought, they did not get upset. They both worked very hard to get the door fitted. The price for my doors was very good. I can recommend the company and the fitters. Great service. Greg always turned up and rang when he said he would, we never waited on a thing. Great installation and very tidy finish. I am pleased with the work carried out, I would recommend to all my friends, because the process of booking the appointment to getting the quote and installation date was so easy. Also, when looking at your site you have all the prices; so there's no quote inflation. Excellent service from start to finish. The door was delivered the day before but didn't cause a problem. Really happy with all the work done, and a really nice chap. These doors were exactly what we wanted - the fitter was polite and efficient. Would recommend. I'd previously had my front door installed by Value Doors & I was so pleased by the whole installation. Ordering was so easy, the fitter was highly experienced & the cost was the best value I could find. When I needed French doors & window I had no hesitation coming back to Value Doors. I was not disappointed this time either. it was different fitters but equally experienced & professional. once again I am very pleased with the whole service & wouldn't hesitate to recommend you to anybody. Fantastic prices - we thought we were going to have to spend a lot more money on doors which would make it unaffordable, but Value Doors quote was perfect. Stuart was really good, very efficient and was incredibly tidy. I would recommend Value Doors to anyone. Excellent and very friendly and efficient service, the installer did a great job for us - wish we had found you sooner when we had work done in other properties. The quality of the work and the product now that it is in is excellent, we would highly recommend our main fitter, thanks so much. Very good, had to wait for installation due to guy being heavily booked, but other than that; excellent. Very pleased. Paul was brilliant. Polite, patience of a saint. Dealt with a number of problems throughout the day without issue. 10am until 9:30 PM is a long day. Paul never waned. He possesses the can do attitude that is so lacking in society today. Definitely would use again. Highly recommended. Rob who installed our new French doors was polite, friendly, efficient and on time. Very impressed! We were very satisfied with the service. Installer was really helpful and efficient. I would like to say that I am very happy with the quality and price of the French Doors I have had fitted at the above address. Your installer - Bernard - is a very friendly , helpful man. highly recommend value doors to my friends and family. Thank heavens I found you!!! Very pleased. Installers were very polite, answered any questions I had well. They kept any mess to a minimum. Thanks. Really pleased with the doors and the company. Won't hesitate to use you again. Very good. Everything on time, very helpful, would definitely recommend. Smooth, polite service. I really appreciate dealing directly with the fitter. Paul was very helpful and gave his fitting an excellent finish. It was good to have a local fitter who I knew to be a conscientious worker. He lived up to my expectations, was a polite, good, clean worker. He arranged the builder who was needed for associated work to change my window to a French door. This saved me a lot of hassle and I was confident to leave that to him. An excellent job and the doors look great. I know from past experience that if I need any adjustment later on, I only need to call. Value Doors offered a very good service, we are very pleased with the finished work. Fitted French window, looks very well fitted and secure. Friendly installers who left no mess. Very happy. I am absolutely delighted with Value Doors and Matt is a credit to your company. The service you offer is completely hassle free and seamless. Having been very apprehensive for quite some time about having my French doors replaced and the daunting task I had of trying to obtain quotes and find a reliable company, extremely impressed with the process and service you provided from start to finish. A gentleman called me from HQ after I submitted my request to arrange a date for measuring up. He was very courteous and helpful. The installer arrived at the agreed time for both measuring up and the installation. A full explanation of the work required was provided and the work completed is to a high standard. I will certainly be recommending your firm to my neighbours, family and friends. Great product, great value. Thank you. I am very pleased with the door and the work completed by Thomas. He was very polite and efficient, I would definitely recommend him to others. Thank you. Stuart is an extremely pleasant and trustworthy man and it was because of him we went on to have new French doors fitted after he put in the front door. We have Rob come and fit our French door and he did a great job, this is the second job we have had inside 12 months, the last time was last May at our second property. We will be looking to do more business with you in the future. Very happy wit the doors we have had fitted today. The fitter was very polite and very tidy, overall very pleased. We were extremely happy with the fitter, he worked well and was always polite, and more than happy with the work he did, would recommend you to anyone and we are happy with our new doors. We are very happy with our new doors and windows and would certainly highly recommend Value Doors. Chris, who installed our fittings was excellent. Had no hesitation in using Value doors for a second time, excellent workmanship and quality, as always. Excellent service. Rob was very polite and professional. Very happy. Love the doors! Great job. Cheers fellas. Once again thank you Glenn. Very pleased with your work as usual. Really happy with our new front door, Glenn Reeves was fantastic from quotation to installation. My wife and I were absolutely delighted with the job carried out. Friendly, hardworking and brilliant communication. 10/10. 'Did exactly what it said on the tin'...I never write these reviews but these guys were brilliant! Did everything they said they would do when they said they would do it. Richard did an excellent job and was friendly and polite. We would recommend him. Martin was fantastic, really pleasant, tidy and extremely helpful. I would recommend him to anyone, credit to the company. Paul was friendly, thorough and professional - he really took the time to talk through what we wanted and the options available to us before we made our decision. We were able to arrange a date to suit us for the fit and Paul again impressed us with the standard of the work he carried out. We're really pleased with the doors and would highly recommend Paul! Very good, the installer took the time to ensure that the doors were in correctly despite the door aperture not being square or regular. Great service again, great value still. Thank you Glenn at Value Doors. Ross' installation work and attitude towards fitting and his customer cannot be faulted. Vewry pleased with a great job well done. Thanks.